This design shows one of the prototypes of le style Mucha, with a single figure of the Madonna against an ornamental circular backdrop. 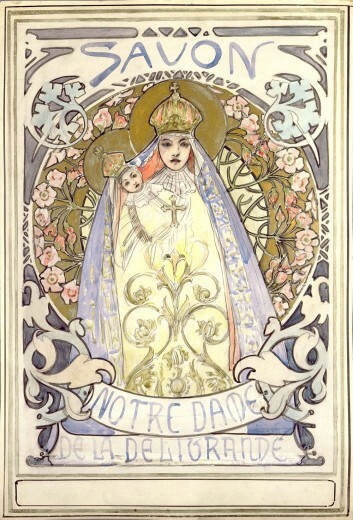 For this figure, Mucha was probably inspired by a traditional image of the Virgin and Child from his childhood. Mucha saw this type of image in many variations at the pilgrim fairs that he was taken to as a boy.